When you become a permanent resident of Canada, you automatically receive your first PR card in the mail within two months of landing in Canada. Your PR card needs to be renewed every five years. You have to show it at Customs every time you enter Canada, and it must be valid. If your PR card has expired, you may not be allowed to enter Canada. If you need your PR card URGENTLY because you are travelling soon, you can get it in as soon as 15 business days. 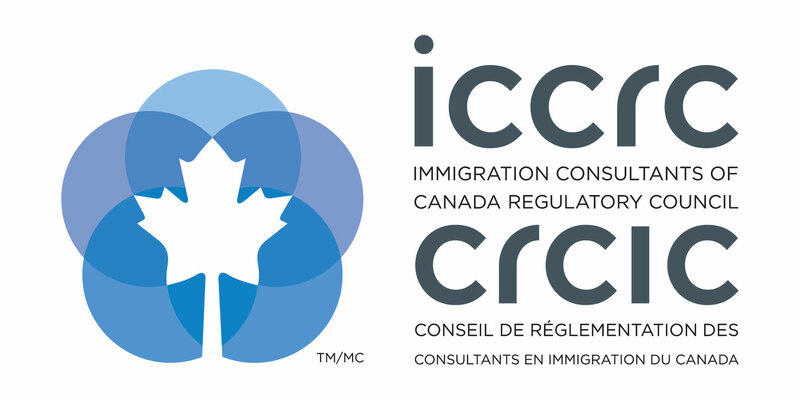 If you have not received your first PR card within 8 weeks of landing in Canada, you can contact CIC at 1-888-242-2100. If you do not receive your PR card within three months of the date that you landed in Canada, you must fill out an application for a new PR card. If you have already booked your travel outside Canada and your PR card is expired or lost, you can apply to receive a new one urgently. You have to show proof that you are travelling outside Canada and returning to Canada in the near future. But, you cannot be travelling too soon or too far in the future or CIC will not process your application with urgency. You also have to show proof that your travel ticket is at least partially paid for. CIC does not accept any proof of urgency for a PR card application other than travel outside Canada with a return trip. Your PR card is valid for a maximum of 5 years, and sometimes less depending on your circumstances with CIC. You can renew the PR card up to one year before it is expired or at any time if it is lost, stolen, or destroyed. You must have been physically present in Canada for 730 days over 5 years in order to meet the minimum residency requirement to apply for a PR card. You can also meet the PR residency requirement by spending time outside Canada because of your job with a Canadian employer, spending time with a spouse who is a Canadian citizen, or living with a spouse who is also a Canadian permanent resident working outside Canada for a Canadian company. 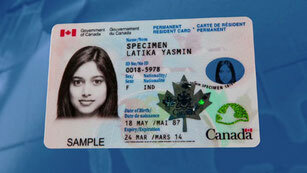 As of 2012, the PR card does not include the applicant's signature, however it is still valid identification. 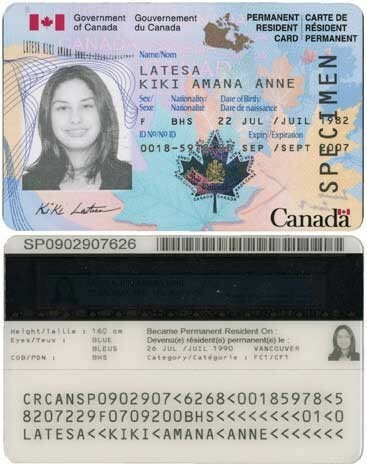 If you came to Canada as a permanent resident or landed immigrant before 2003, you would not have been issued a PR card because the documents did not exist yet. Instead, you would have been given a Record of Landing IMM1000 or Confirmation of Permanent Residence IMM5292, which is a paper document proving your PR status. The IMM1000 is still given to immigrants today on the day that they landin Canada. Even if you don't have a valid PR card, for example because you came to Canada before they were issued or yours has expired, you still have PR status. You only lose your PR status in Canada if you have been refused a PR card or Permanent Resident Travel Document to return to Canada, or you have been officially stripped of your PR status or ordered to leave Canada.